It's lobby time in New York again, and this year the prognosis looks good and members of Unsealed Initiative, under the guidance of Joyce Bahr, are scheduled to meet with the governor, Andrew Cuomo, or members of his staff, to discuss the Adoptee Bill of Rights giving adult adoptees access to their original birth certificates. As far as I know, this is the first time the group is scheduled to meet with the governor or his representatives. I won't be able to go to Albany, Below is the letter I will be sending Gov. Cuomo tomorrow. One last thought: Snail mail via the post office is more effective than an email. If you must do an email, put your address at the end. I am writing to ask you for your support of bills in the Senate (S1438) and the Assembly (2003) that would let adopted people know whom they were when they were born. The Adoptee Bill(s) of Rights would repeal the 1935 legislation that sealed in perpetuity the original birth certificates, and thus the original identities, of anyone adopted in the state of New York. I am a journalist who has written extensively about this subject for numerous publications, including The New York Times, Newsweek, USA Today and Parent’s, as well as others. As a woman who relinquished a child myself in Rochester, I am also the author of Birthmark (1979), the first memoir to break the silence of women who gave up their children to adoption, and have been a spokesperson for adoption reform for several years. I have testified for open records both in Albany and in Washington DC before legislative committees, and in court for adoptees seeking their records. The 1935 law that sealed the original birth certificates of anyone adopted was presumably passed with good intentions--both to reassure adoptive parents there would be no possibility of interference from the natural mother, and to make the adopted understand they were indeed an integral part of the new family. But we now know this facile deception causes physical and psychological consequences later on, none of them healthy. Cicero summed up the effect of identity ignorance this way: To be ignorant of what occurred before you were born is to remain always a child. Physicians want and need medical histories to provide the most informed treatment, and adoptees grow up and want answers. Simplistic stories that worked when they were young become unsatisfactory as they grow into adulthood, for it is part of the human condition--because we can think--to want to know where we came from. Shows such as Who Do You Think You Are? attest to this; most of the people featured are flooded with inchoate emotion as they trace their ancestors, walk the very same paths and roadways their great grandparents did, and learn what hardships they endured. This need to know is primal. Denying people the right to know their real name, along with the unvarnished but true story of their birth, reduces them to a class of people denied a right so basic that the rest of us take it for granted, that is, the answer to the question: Who Am I? It is well past the time for this archaic law to be repealed. Original birth records are not sealed upon relinquishment, but only when upon adoption. Consequently, mothers legally could not be assured anonymity from their offspring: no adoption, no sealed birth certificate, no amended birth certificate issued. Yet the main objection legislators give for opposing repeal today is the supposed confidentiality “promised” the women who relinquished their children. The problem with this reasoning is that it allows the will of a supposed group of people to negatively impact another. For a great many of us, anonymity was a terrible condition imposed by statute. We had no choice if it were necessary to surrender our children. When I protested, my social worker replied: Well, You have to agree to it or we can't help you. 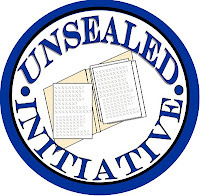 There could be no legal adoption without sealing for all time the original birth certificate. Times have changed, attitudes have moved forward. Many--if not most--natural mothers welcome reunion with their children; a 1997 Cornell University survey[i] of more than a thousand adoptive parents found that the overwhelming majority are in favor of open records. Yet the records remain sealed because a few powerful legislators hold fast to the archaic attitudes of another generation steeped in secrecy. The imagined specter of these women's lives being ruined continues to be the stumbling block to repealing bad law. Given that there are some who would remain anonymous from their own children, yet their temporary discomfort is not reason enough to deny anyone the right to know the truth of his or her origins. Some states have half-way measures that allow the release of the birth record if the parents so named do not file a veto. This is a particularly inimical provision, as there is no other contract in the U.S. that so determines the fate of an individual who was never party to the contract restricting his rights. His only crime was to be adopted. Adoptees were never asked if they agreed to this perpetual identity theft, yet the supposed contract with the state affects them most of all, and most directly. While other parts of the act became law, this provision was removed. The proposed legislation of 1980 would also have given natural mothers the right to learn the identities of their children. Remember, this was not some hair-brained proposition; it was the concerted opinion of the various adoption experts working on the bill that both parties involved in a birth should know the identity of each other. It is not such a crazy idea. It is human to want to know, and many of us signed the surrender documents under duress as we objected to this provision we were powerless to delete. 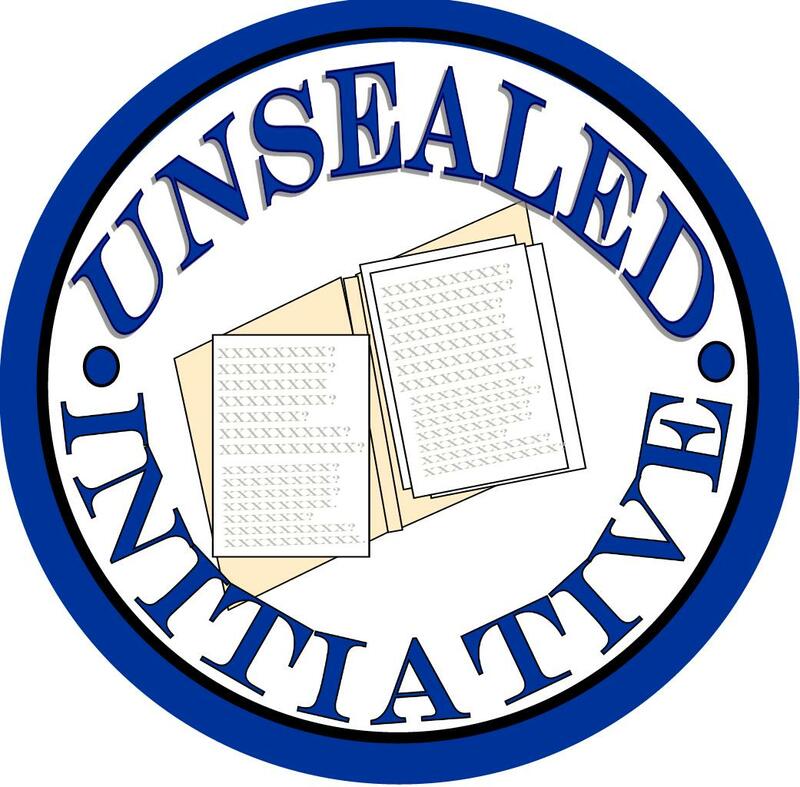 In a few weeks representatives of Unsealed Initiative, the New York organization whose goal is unseal original birth certificates of the adopted, will be in Albany to lobby, and we understand they will meet with you, or members of your staff. They will come with additional supporting information. I write today as a natural mother without a pony in this race. I was happily reunited with my daughter 15 years after I relinquished her in 1966 in Rochester. At the time we were reunited in 1981, she was living with her adoptive family in Madison, Wisconsin. The discovery of her new identity and whereabouts was accomplished speedily after I paid $1,200 to someone who had already identified her from the clues in my memoir—even though they had been fudged somewhat. Not only could he (or she) locate adoptees for birth parents--as he did for me--but he could also locate the natural parents of adoptees searching. In other words, he had quick access to both sealed birth records and adoptive papers throughout the United States, long before records were computerized. Clearly this was illegal, but I did not find my daughter a moment too soon. Because my daughter was epileptic with frequent and severe seizures, her physician had tried to locate me through the agency in Rochester--at the same time I was writing to them because I had a feeling she needed me. In the agency’s response to me, I was informed--erroneously--that she was well and happy; I would later learn from her adoptive mother that her physician's letter was not even answered, but after we were reunited, it was referred to in a letter to them, indicating it had been received. This would still the situation today in New York. Court orders to open records may be obtained, but getting one requires expense and fortitude many adoptees lack, and anyway, a judge may deny the petition, as many have. In the Seventies, I knew people in New York who were able to get their records by paying a hundred dollars to people who worked in the records bureau; a copy of the original birth certificate would be passed to them in the rest room. Desperate people will resort to any means. And where there is money to be made, it will be. While you can't work miracles with the New York legislature, you might be interested to know that it was another New York governor, Herbert H. Lehman, who was largely responsible for the law that sealed the records. It happened in 1935 under his tenure. I am sure he thought he was doing the right thing for this three adopted children. Your firm support of the Adoptee Bills of Rights (A2003 and S1438) might unglue the bills from the committees where they have died as previous sessions came to an end in the spring. We have well over a hundred co-sponsors and supporters in the two houses. This year we also have enthusiastic sponsors in Rep. David Weprin (D) from Queens, and Sen.Velmanette Montgomery (D) of Brooklyn and Sen.William Larkin (R) from the Newburgh/Kingston area. I ask you for your support--your wholehearted support--to help pass A2003 and S1438 and give adoptees their original birth certificates. It seems like such a small, but basic, right we are asking: The right to let individuals adopted as children know who they were when they were born. As has been said before, justice delayed is justice denied. Our cause is just. It is right. It is time. Great Letter. Imagine Selfish Legislators might vote against this bill because they are adoptive parents. Who would ever think that. So sad. Doesn't everyone want the State Government to treat the adopted and the not adopted the same? Excellent post.Maybe this year we'll find a more receptive legislature and governor. Here's hoping. Excellent letter.... It is sad that people are so unwilling to see what is right in front of them and that it is always the innocent that pay the price for that myopic behavior. Please, let me know if there is anything that I can do to be supportive of this cause. Find us more folks who surrendered, who are adopted, or did adopt in New York. A thousand voices would have an impact. I surrendered in western NY, a few months ago and when he turns 18, I want to know where he is and I want him to know where I am. I am a mother of loss to adoption (AZ ’64), now a search angel and adoptee rights advocate, and I am absolutely in favor of adoptees’ rights to access their original birth certificates with no qualifications or conditions — the same privilege available to every other citizen of New York who is not adopted. I am writing to tell you that everyone in my family supports the Adoptees’ Birthright Bills (S1438 and A2003). We hope you will sign it into law when it comes to your desk. We have the same bill pending in the Pennsylvania legislature and we are hopeful that, when the bill is passed in New York, Pennsylvania will follow your lead. Please do everything in your power to make sure that adoptees’ rights are honored in the State of New York. I got a response from the gov today. Non-committal, but at least we know it is on his radar. Wonderful letter, Lorraine. Is it too late to send my own letter to Governor Cuomo? After years of futile searching and frustration, I've come to understand that my situation is an exception to most adoptions. I was born in New York City in December 1963 but adopted privately in New Jersey (when I was three days old). Anyone familiar with the area would understand how this would be a perfectly reasonable scenario. However, legally, I may as well have been born in NYC and adopted in New Mexico! Even the modicum of info available to adoptees -- Non-Identifying Background Information -- has been denied to me. NJ won't help me because I wasn't born AND adopted in NJ; NY won't help me because I wasn't born AND adopted in NY. I'm sure I can't be the only person born in one state and adopted in another, particularly when the states are so close to each other. I'd love to make Governor Cuomo aware of situations like mine when he's considering his options. That is a terrible situation! This requires an act of Congress, a Presidential directive or something major...it seems to me, to rectify. Yes, please write to Cuomo and explain what a mess the laws have created for you. Is is possible that your NY birth certificate--opps you don't have one, right--has any information on it that would lead to ... NY? Since you were born in NYC, you are probably on file in the records available in the public library, but you need a corresponding number to find the original certificate. Good lord, write to him immediately. His response to me was non-committal but we think he may be on our side. And send a copy of the letter to David Weprin (check him out at the NY Assembly site) and make him aware of such a f*&^ed up situation. And stay in touch! And get in touch with the people advocating for change in NJ too. Write Christie! I am also a two state adoptee, however, my states were far from one another. I petitioned the court in the county where the adoption took place for non-identifying information. I only included my (adoptive) name, my date and place of birth and my guestimate as to when the adoption finalized. The less said the better. I also included a long list of questions including, what are my nparents first names. I got back a reply that was a wealth of information including the first names. Neither of my states are New York or New Jersey, however. In terms of checking birth indexes, directories, etc. do not rule out your gut feelings. I was checking a directory for a very common last name in a major city and I kept getting an overwhelming feeling that this one name had a connection to my family. Turns out she was a relative of my first mother's by marriage and she knew the whole family I was looking for.